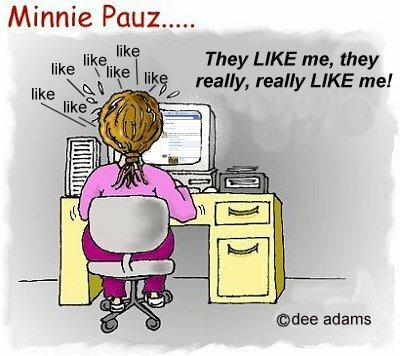 "Minnie" was so happy when she got her own Facebook page! It has really helped me connect with more women a lot faster than sending a newsletter each month! And there's immediate response to articles or cartoons too.